Having a garden will certainly up your home’s value however, are there certain types of gardens that are deemed to be more attractive than others? In terms of gardens, size matters (pardon the expression)! And, a tidy, well-maintained garden goes without saying; but what other factors contribute to it being considered an attractive garden? According to statistics sourced from ONS, ‘of the 23.4 million homes (or households) in England and Wales on census day in March 2011, 15 million (64 per cent) were owner occupied and 8.3 million (36 per cent) were rented. The most common number of bedrooms in a home was three.’ It would be a fair assumption to conclude that families dominate a large section of the housing market. With this in mind, we’ve looked at simple ways in which you can create the ultimate enchanted garden for your young explorers, whilst upping your home’s value. 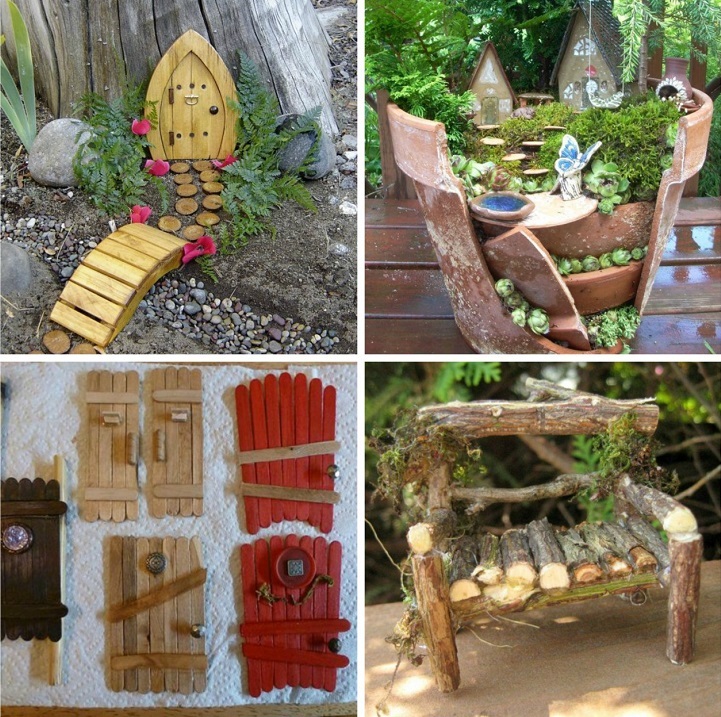 Fairy doors have grown in popularity in recent years. Often featured on skirting boards inside the house; these little doors are a great idea for children awaiting a visit from the Tooth Fairy. With a trail of gold or silver glitter, a path of where the fairy has flown to and from can be created. These doors also feature well in a secret spot in the garden. 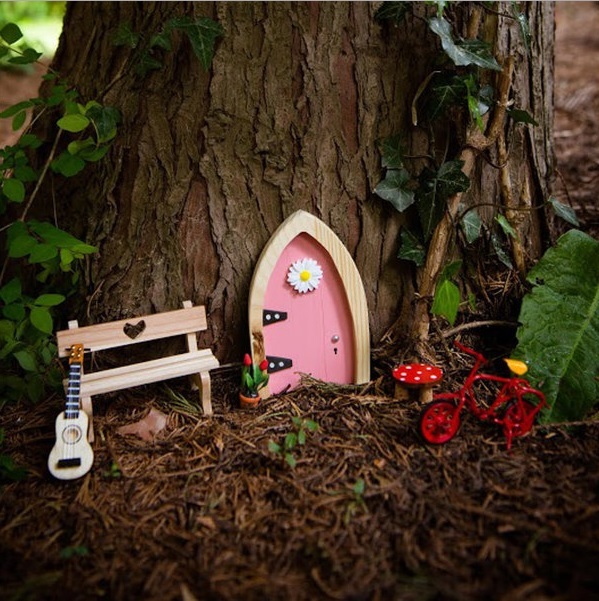 Placed at the bottom of a tree, you can accessorise and decorate the area with dolls house furniture. With a selection of coloured marbles, you can create fun and colourful fencing. 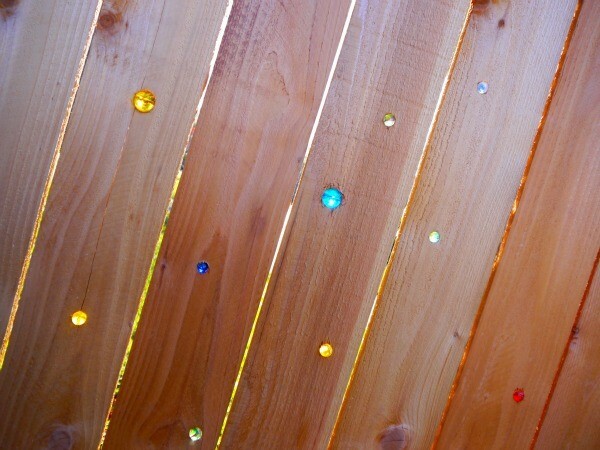 Simply drill some holes into your fence and push the marbles into place. Please ensure that you own both sides of the fencing as neighbours may be less than impressed with alterations being carried out without their permission. 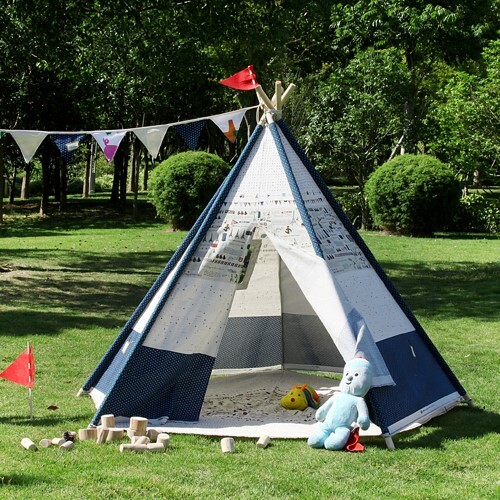 Fuel your children’s imagination with a traditional tepee. Available in a range of colours and sizes, these tepees are the ultimate summertime accessory for your garden. Deck out the insides with comfy cushions, blankets and soft toys. Throughout the summer months, the tepees provide shade as well as a secret hide-out! During winter, providing that you have the space, the tepee can be set up indoors. It is advised that after use, in the summer months, that the tepee is brought indoors to optimise its lifespan. For a more permanent fixture, a summer house offers a safer alternative to the traditional tree house. According to nationwidechildrens.orgsell, ‘Almost 2,800 children are treated in emergency departments for tree house-related injuries every year.’ Summer and Wendy houses, being situated on the ground offer endless fun for younger kids (and big kids!). For safety, the window spaces should be fitted with shatter resistant plastic rather than glass. 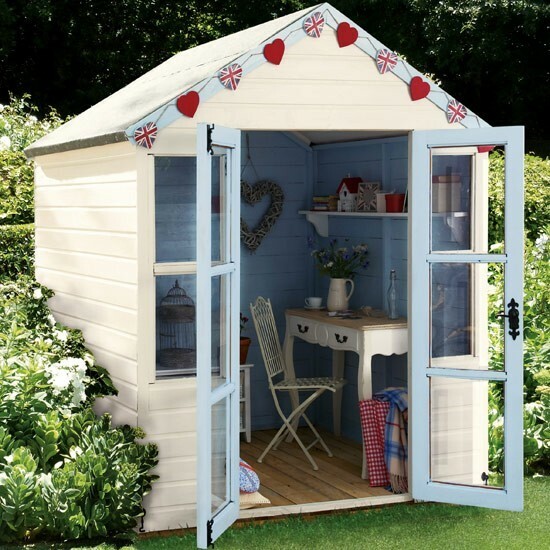 The dwellings can be painted and personalised to suit, but equally look great as they are! 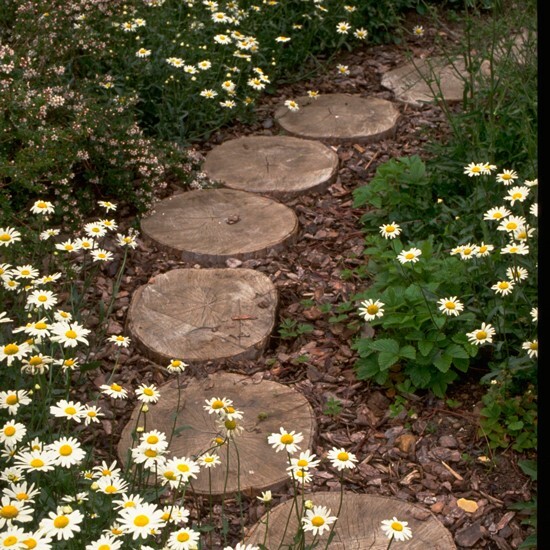 Children adore stepping stones. Creating a secret pathway through some more resilient plants will make for great entertainment. Woodchip helps to minimise the risk of a child tripping. It is important to be aware that wood can become slippery when wet. To minimise the risk of injury, adult supervision is advised. In terms of landscaping, this also acts as a charming feature for your garden. 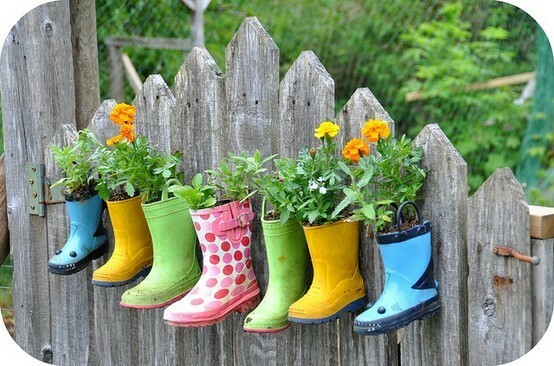 Once your children have outgrown their old wellies, encourage them to do a bit of gardening by turning their old boots into flower pots! They make for a splash of colour and are a fun and quirky garden feature which is sure to crop up in conversation when hosting your summertime BBQ. 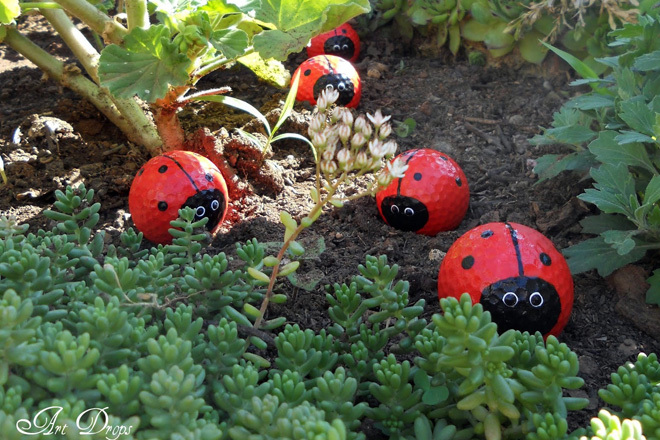 If you have a golfer in the family, or simply fancy a non-permanent, low-budget feature for the garden; painted insect golf balls are for you! With a small amount of paint and a good dollop of inspiration, you can create a range of mini beasts out of old golf balls. From ants to bumble bees, ladybirds to caterpillars; these colourful creatures will be a welcome addition to your garden. 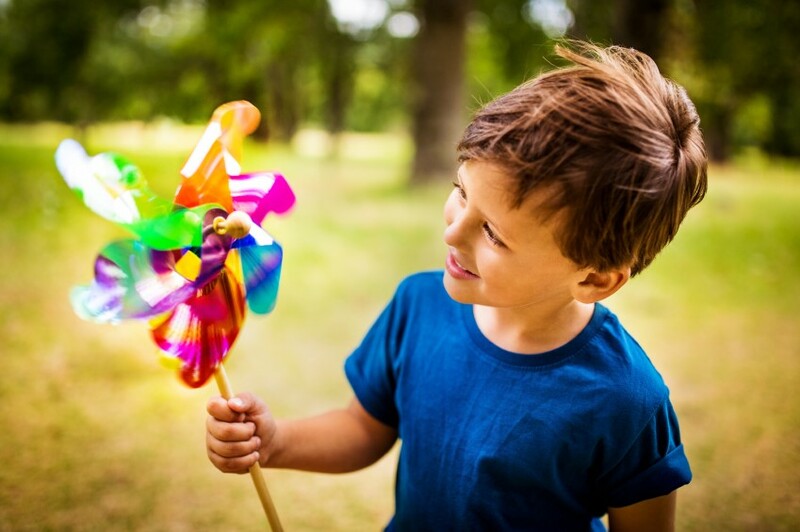 Almost every child loves a windmill. But why opt for only one? Choose a range of colours, shapes, styles and sizes and scatter them about your garden. Windmills can also help to deter moles and can aerate your lawn. For those with a larger garden and greater ambition, secret passageways, tunnels and wicker dens will amaze any young child. 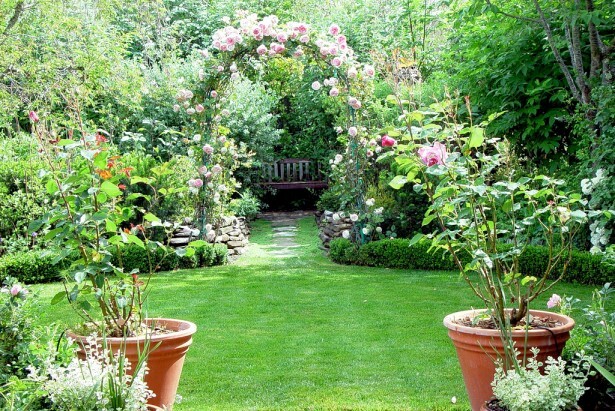 The inclusion of a garden arch will help to section off part of your garden which, for children, offers the makings of a magical land in which to explore. Plants and shrubbery with foliage offer plenty of hiding places for games of hide and seek. Colourful and fun flowers such as snap dragons and bleeding hearts also fascinate young children. Whereas leaving an array of plastic pedal cars and toys scattered across the garden can look messy and will potentially deter buyers; a carefully and well landscaped garden designed with children in mind can increase a property’s appeal and selling factor. With various options, a garden can be transformed without permanent fixtures being installed. This may be the preferred option for Grandparents or other family members who regularly have children to visit, but wish to revert their garden back to its prior state after their visit. Enchanted gardens for children are fun for adults to create too! Happy gardening!